Brugge is very pretty, really photogenic people told me hearing I was planning a visit to the beautifully preserved Medieval town in Belgium – adding, don’t forget your camera. 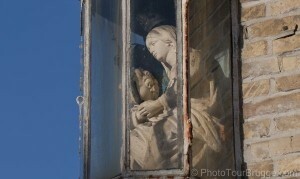 It started me thinking about photo tours as a way of discovering a place. Walking a city with someone who knew it in all light and weather, who could show you the angles, prompt you to look again, tell you a little of its history and especially, give some friendly advice on how to get the best out of your camera so you return home with shots to treasure – what better way to come to know a place? Not really expecting to find anything of this nature I typed in a quick search and up came Photo Tours Brugge; owner and guide Andy McSweeney it seemed was on the same wavelength. We met for coffee in Carpe Diem a tea room and bakery on a picturesque Brugge side street, busy on a Sunday morning with people enjoying breakfast and pastries that looked out of this world. Andy was on his way to catch a train; having arrived in the dark the evening before this was my first sight of Brugge in daylight. I was already thinking I could do with some tips on photographing the confections in the chocolate shop windows I’d passed not to mention a thought or two getting a decent shot of Brugge’s emblematic white swans. 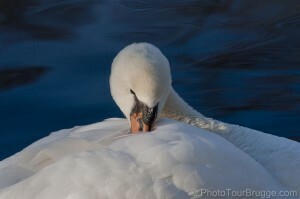 Legend has it the burghers of Brugge are obliged to keep swans on the canals forever having executed town administrator Pieter Lanchals, a member of the court of Maximilian of Austria back in 1488 – his name translates as long neck. Originally from Canada, Andy came to Brugge (also known as Bruges) some 11 years ago by way of other travels, met his future wife and stayed. As he explained photography is something that has long been a passion and in recent years has come to the fore in his life again. Without time for a good photographic meander Andy did the next best thing giving an animated virtual tour on his touch pad instead. Let me give you a taste. We start on the Burg by the contemporary Toyo Ito pavilion known locally as the car wash, this is the meeting place for the tours. There won’t be a crowd of you as Andy takes just 6 camera carrying people, with a non camera guest welcome to come along free. On the Burg we’re spoilt for architectural styles and buildings of historical importance. The Gothic City Hall is the main player flanked by the Civil Registry in Renaissance style and the Church of the Holy Basilica. Straight shots, as I think of them, record the square but they’re not exciting - let’s move in closer. Guarding the steps to the City Hall, two lion statues, Flemish lions holding the shield of Brugge; and there a bear (also a symbol of Brugge) with the shield, that’s more interesting , now we’re telling a story … you get the drift? I’m sipping a latte served with a chocolate topped morsel of cake, at the same time moving round the Burg looking for the angles, sideways, upwards. All levels of skill and types of camera from mobile phones upward are welcome Andy told me. With small groups he can tailor his help and advice to each person from suggestions for better composition and giving the confidence to move off the auto setting and get creative to more technical considerations and post production thoughts. Chatting with my editor’s hat on I picked up on Andy’s point on the merits of shooting wider to give more options – you can always crop later but you might not be in Brugge again. 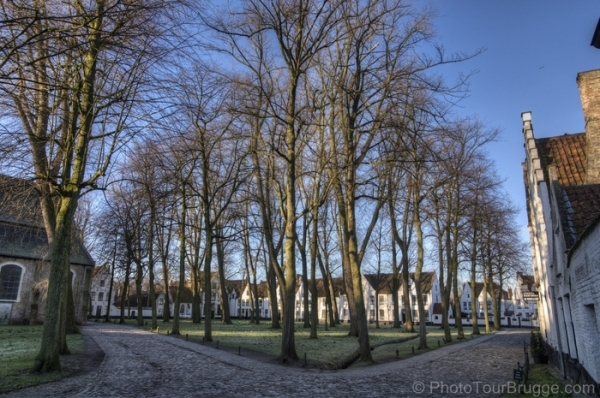 There are three tours, each 2 hours long which kind of follow Brugge through the pattern of its day. Starting at 10am the Edges of Brugge takes a wander around the streets and canals a little removed from the centre catching the morning light. 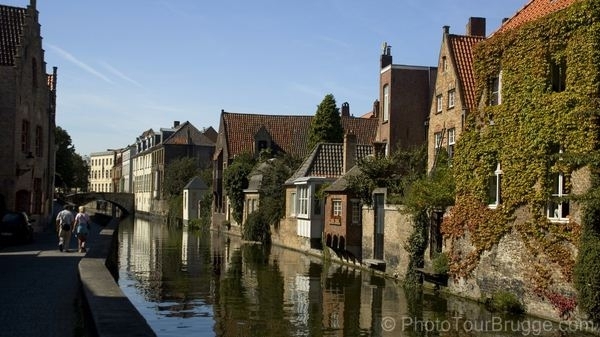 This tour is followed at 1pm by Essential Brugge in which Andy will lead you past some of the historic hot spots with tips on how to catch them in a quiet moment. And then at 4pm, winding down, Hidden Brugge following quiet streets and finding windmills. Next year there will also be some night tours bringing different photographic challenges and another perspective of the city. English is the default language on the tours, though private tours are available in French and Flemish will be on the menu for 2014. That you will get good value on one of Andy’s photo tours I’m in no doubt. Enthusiasm and know how flew across the tea room table and there was more. Producing a map Andy ringed spots to to check out. An alley; “look back there”. 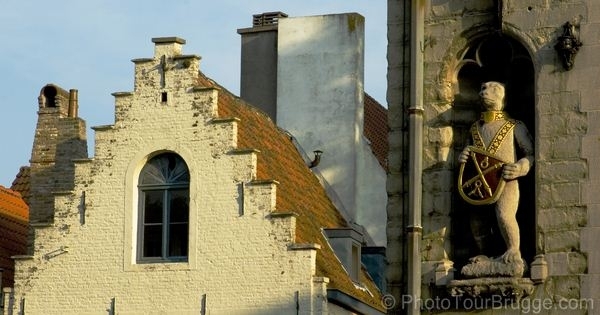 “If you want to get a view from up high, instead of the Belfry I’d recommend a tour of the Brewery De Halve Maan.” Not just photo advice either; places to eat, the location of a cosy old wood panelled bar with good Belgium beer, insider information that will take you beyond the surface of the city. Time to go, Andy to catch his train – I hope he made it – me, enthused, to get out my camera to see what I could capture of Brugge. 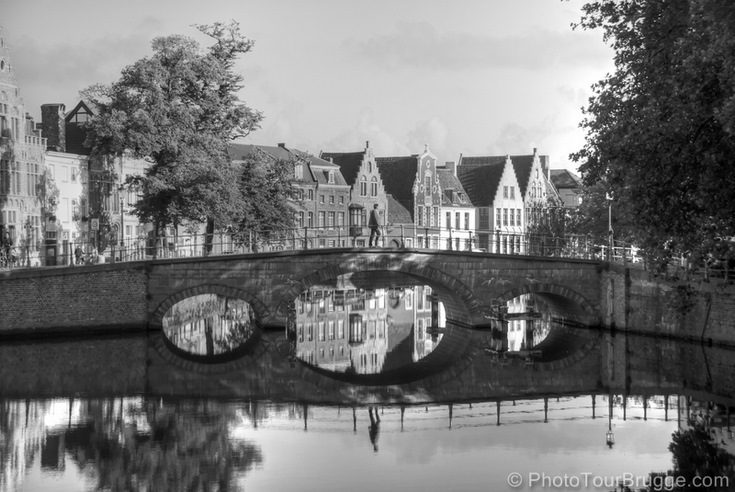 “Getting up early pays off when exploring Brugge, and off-season doubly so! Have you ever taken a photo tour? What did you think of it as a way to getting to know a place?